The title tells it all. I advance to the finals of the B Flight. My opponent, Mike, had a bit of a roller coaster ride during out match and as a result could not overcome my steady play. I did not make any flashy shots, but hit the ball very well from tee to green. However, my putting was suspect and fortunately it did not cost me in the end. Mike Taking Aim on the 5th Hole at Osprey Links Golf Course. This match was a bit different from my previous two. Mike and I have played several rounds together in the past, so this was as much a friendly round as a competition. We joked, poked fun, laughed, lamented and congratulated each other on good shots. As Jeff Rogerson said to me before the match, “We organize the Match Play tournament so our members can meet different players and have a bit of fun in competition.” I completely agree with Jeff’s view and this year’s match play tournament is exceeding his intent. As with earlier matches, playing steady golf was the key to winning. In any round, I expect to make, on average, 2 birdies. This means I shoot par most of the time. I could press my game once in a while, but that generally increases the risk / reward of any shot. And during Tuesday match, I played smart for most of the round and my steady play was enough to close Mike out on the 15th hole. However, I did make one shot that sticks in my mind as something special. On the 14th hole, I pulled my ball left. My ball ran out a bit farther than normal and came to rest behind a stand of trees. Normally, this position would prevent any thought of going for the green. But, I was fortunate to have a hole about 15 feet high by 6 feet wide that allowed me a shot at the green. With a solid lead, I decided to give this high risk / reward shot a try. I was 165 yards from the green and I need to get the ball up fairly quickly, but nothing out of normal for my ball flight. I struck the ball cleanly and it sailed through the middle of the hole. As my ball honed in on the green, I could hear Mike groaning in the background as he thought this was his hole. Fortunately my ball landed on the green and after a quick 2-putt, I halved the hole. This was a great shot and as a result, Mike was dormie. I am now waiting for the top have of my flight to see who I will play in the finals. There is little I can do to prepare except play more golf. My game is fairly solid right now and I hope to ride my success to the overall finals. Regardless of the result, I have having a great time and appreciate the efforts of the Osprey Links staff in organizing this fun tournament. 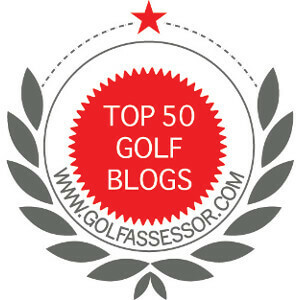 ← Do You Concede Putts? Well done my friend! Have you played or scheduled the finals yet? Not yet. On vacation right now. Will know nest week. Looking forward to playing. Congrats on your win. I won my round this past weekend too, but I played the worst game this year doing it. And I’m a bit upset over it. I came out of my game in a big way. And it’s the reason more than anything that ticks me off. I started off doing fine for the conditions and the fact that I hadn’t played the course in about 6 years or more. But I’ve told you that my distance has suffered with some of the changes I’ve made recently. And I played with guys that could out drive me even before. They were hitting pitching wedges to my 4 irons on some holes. But I should never have let that bother me. I hit the pin with that 4 iron from 180 on the 4th hole for gods sake. Why would I worry about being out driven so badly when I was winning anyway? That’s what ticks me off. I let something that didn’t matter take me out of my game and that really gets under my skin when I think about it. I went from hitting fairways to playing out of the rough trying to push it out a bit farther and if it weren’t for my short game, I would have given it away. As it was I still managed to win by 2 even with an 86, but I really didn’t enjoy what should have been a great day and it was all my own fault. That is a great example of not worrying about things you cannot control. I am routinely out driven by my opponents in tournaments. Like you, I rely on the other parts of my game to win the day. More importantly, you recognized your error and will not make it again. An ugly win is still a win, congrats. Jim, what are those objects to the right of Mike in your photo, rocks? Would make for an interesting shot if you landed on one of those! Congrats on your victory; keep it rolling! Yes they are rocks. And yes your ball does some funky things if you it them! Unfortunately I know from experience!